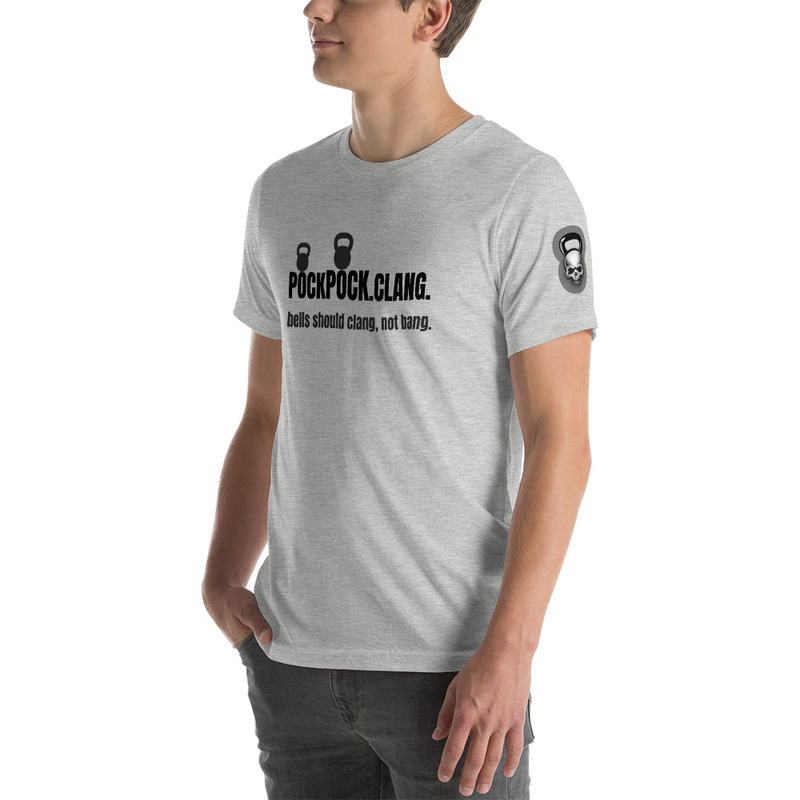 The front of the shirt has the words POCKPOCK.CLANG. Bells should clang, not bang. A real Girevik knows the meaning! The back of the shirts features the Cavemantraining logo and the text: Form and technique first. Weight and reps second. The sleeves of the shirt feature the Cavemantraining kettlebell skull. We also stock the black version of this without the skull bell on the sleeves. Nice material and great fit too! !